It has been a long journey since we have started working on the pallet projects. We have witnessed the wonders happening by recycling the wooden pallet. This pallet thing is such a blessing in disguise for almost all the art lovers. 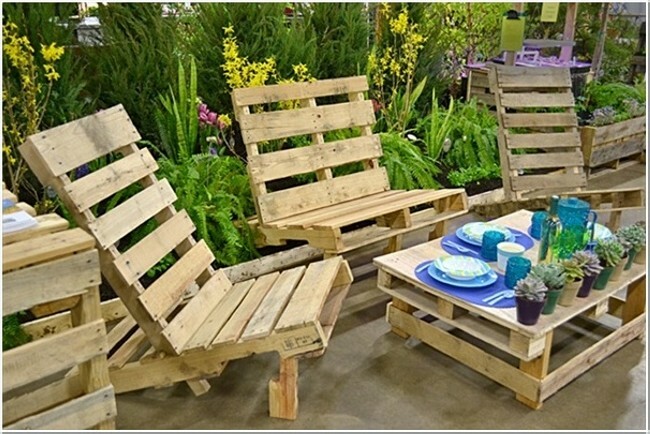 We have made countless practical furniture items with wooden pallet and not only this, we have used it in wall art and garden art ideas as well. Pallet is something that is obviously very easily accessible for every one of us. We have pallets in bulk in our house hold and even without spending a single penny we can have it. Here in, we are going to discuss some of amazing wooden pallet furniture plans that are escalating the interior beauty of our homes. For instance here is a master bed, which is lying right in the middle of the bedroom. 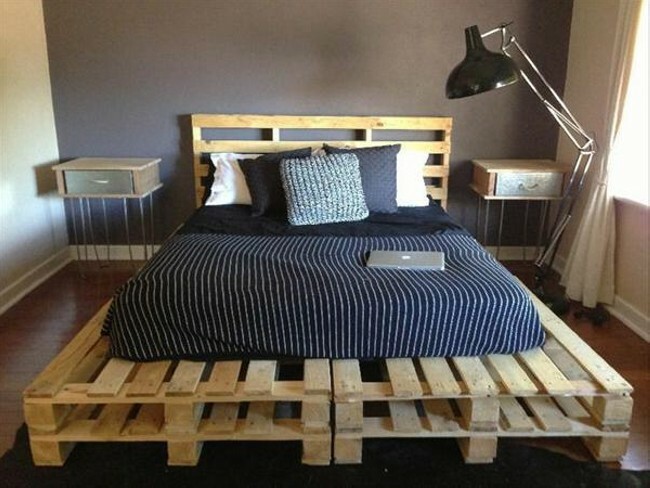 If we ponder on the entire structure of the bed we find out that it is entirely upcycled with the wooden pallet. 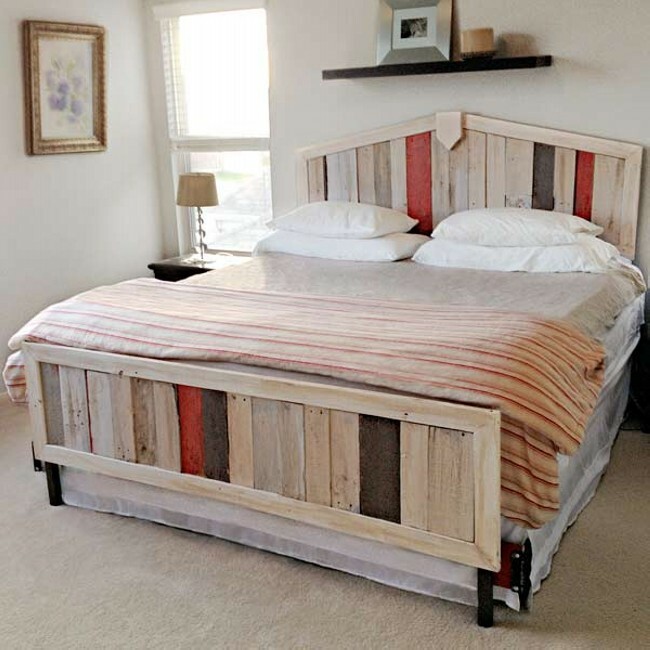 Even the headboard on the back of the bed is also repurposed with the pallet wood. If you like rustic look, then this is the most appropriate piece of furniture for your bedroom. Now coming towards the next one, here is a couple of sitting traditional benches with a high table. 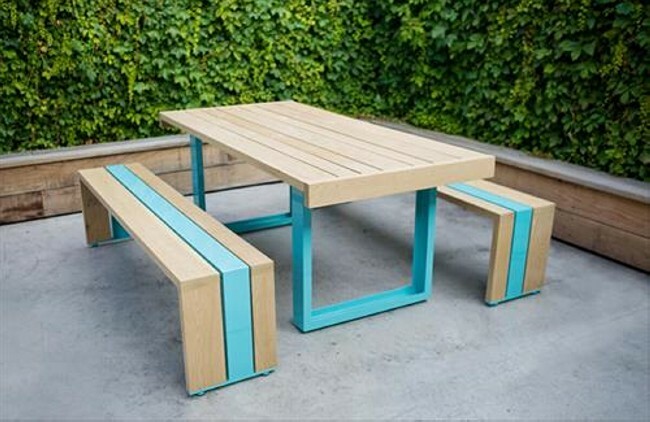 These benches are typically designed for some outdoor sitting area like garden or patio. 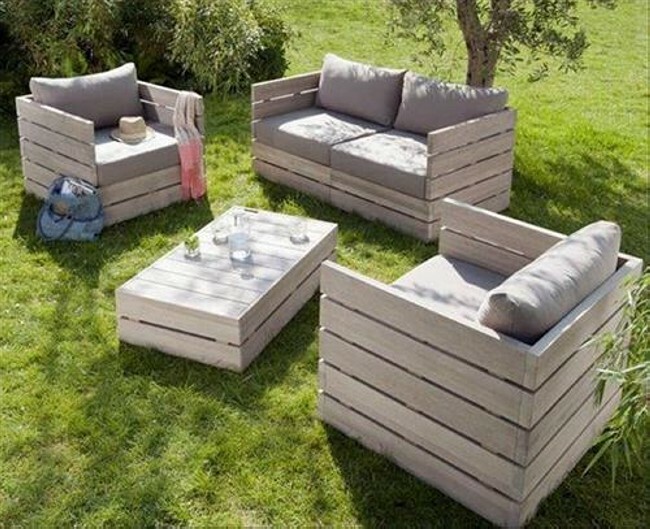 Though some sofas or couch could also be placed in outdoor sitting but such pallet benches are especially and specifically associated with the outdoor sitting. 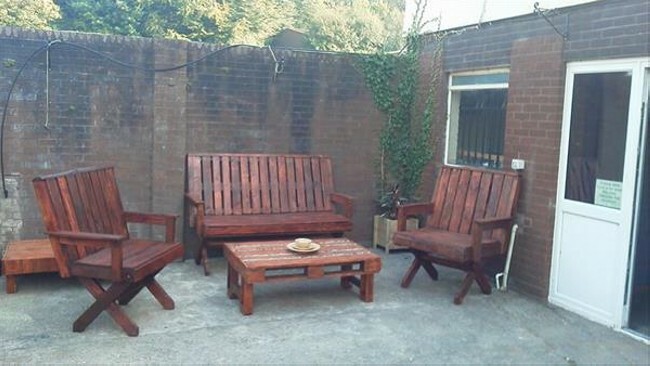 Look at their fine and smooth texture, they are also made with the wooden pallet, and after the completion they are stained well and they are also sanded very decently to make something extra ordinarily great out of the wooden pallet for your outdoor sitting. 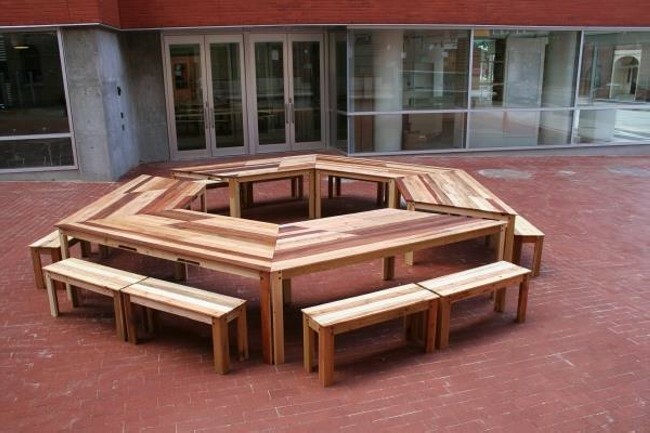 Look at this octagone shaped rustic table which is also having traditional benches along with it. 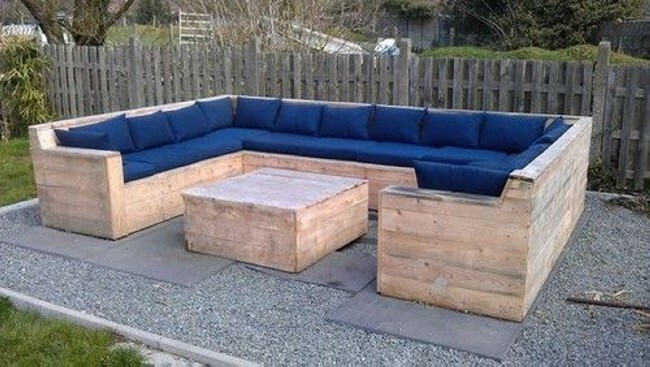 This once again is one of the best sitting plans for some outdoor sitting space. You can place it in your patio for having family dinners or lunches or even the BBQ parties. You can also place it in your garden where you can enjoy a cup of cappuccino with your family right in the middle of the garden. Pallet is such a user friendly material that it gives you complete hold and freedom to design and shape it accordingly, they way you want. All of us go to every extent in making our home interior beautiful. For serving this purpose we spend hundreds and thousands of dollars, we hire professionals and take their advice regarding the beautification of our houses. But once if you are done with the basic skills of recycling the wooden pallet, you are no more in need of these professionals. Design at your own and just make it. 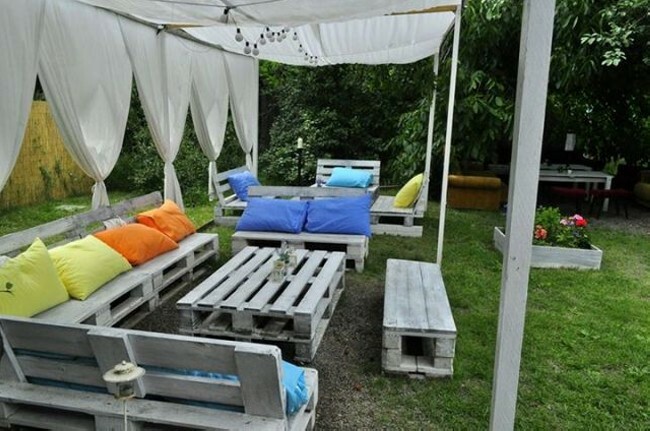 Like here is another sitting plan that is entirely made by recycling the wooden pallet. Huge sofas along with matching pallet repurposed tables and also a couple of benches. 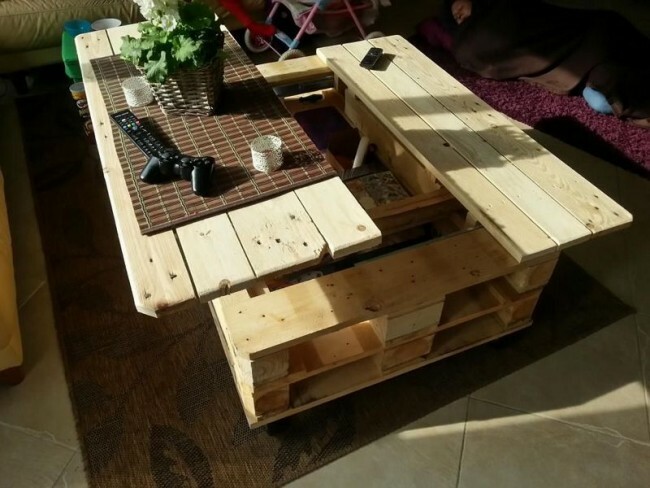 As we have discussed earlier that if we become familiar with the art of recycling the wooden pallet, the we are no more in need of opting for expensive interior professionals or even the expensive furniture items. If you are a true crafter you just think, plan and create it at your own. Even I myself have made countless art crafts. Have a look on this sophisticated garden corner couch, how decently and delicately is it designed and made. In a nutshell, once again this is the blessing of wooden pallet recycling and nothing else. Entire setup is recycled with wooden pallet. When it comes to you that you are the one who has to plan the design shape and structure of the furniture article that you intend to place in your house, then certainly you become more and more delighted because you are free to plan and design your furniture at your own. You can simply translate your ideas into practical furniture items. 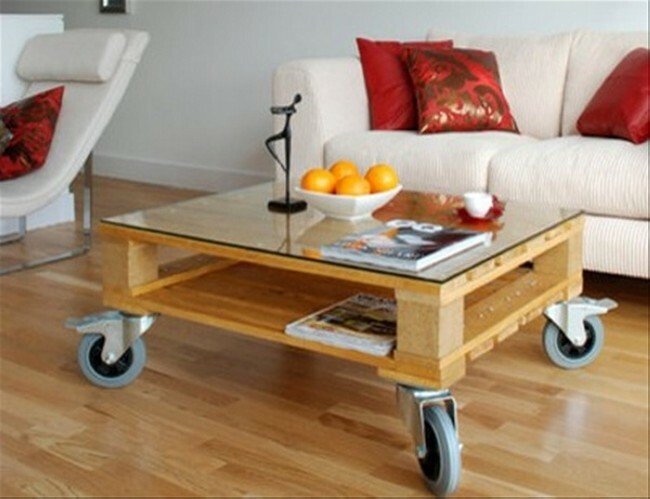 Like here is a demonstration of a rare pallet coffee table with built in storage option. Look at its unique design and shape. A couple of people can sit at the same time and use it for multi purposes. A fine swing is something that reminds me of my early childhood. When I was a kid I used to love swing. I remember we had a wooden swing right in the middle of our patio that was installed by my dad, I used to spend quality time sitting on that. I remember that everyone from the family was always willing to enjoy on the swing. I had even harsh arguments with my siblings. 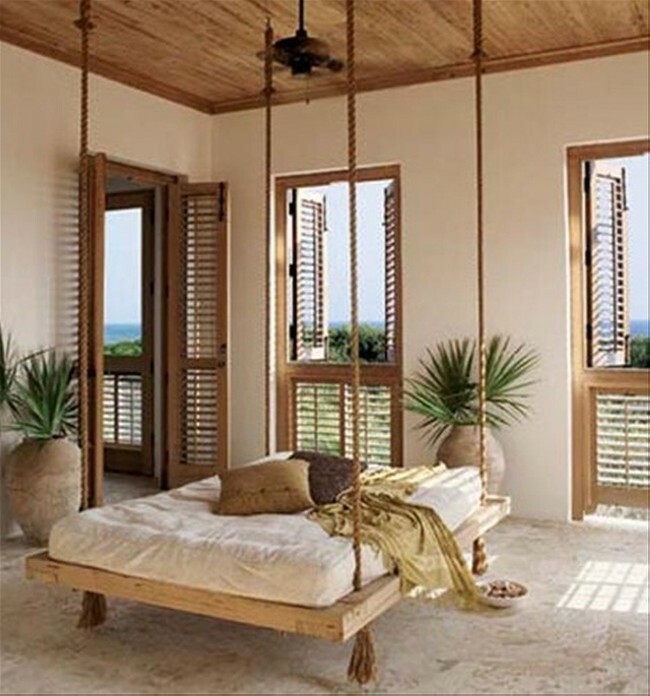 Here is a superb demonstration of a wooden pallet swing that is installed right in the middle of a hall room having windows on its front. How much finances can you tolerate to spend on the furnishing of your house? Well certainly it depends on your bank statement. If you are wealthy enough then these expenses do not bother you, but every one of us is certainly not that much well off, neither we are interested in draining our money out. Then learn recycling and avoid expensive furniture. 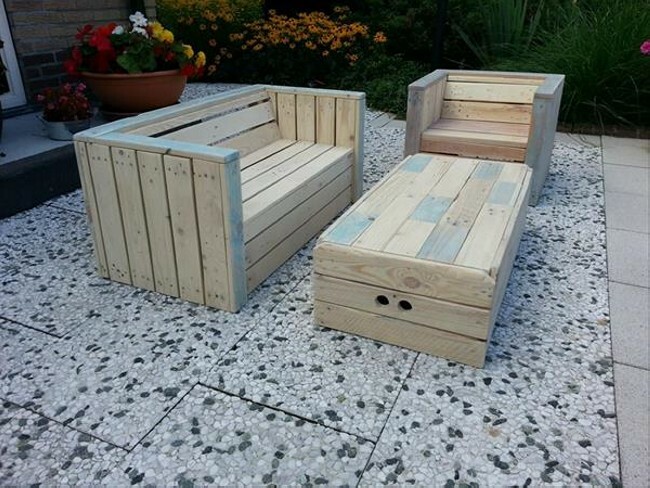 Like in this project, four seated conventional shaped pallet sofa along with a table is recycled with the wooden pallet. In none of the way it is any lesser than the market based expensive furniture items so why not to go for this? Now coming towards the next project here we can see some Adirondack shaped chairs which are a real beauty lying in the garden. Here we can see the rustic look overloaded. Though these chairs are not properly stained, neither are they very well sanded but their rough look is pretty compatible with the outdoor sitting arrangement. Nothing exceptional is used in here, the same flat wooden planks are used in the entire making of chairs and the table as well. Next we can see some delicate master bed made with repurposed wooden pallet, couch, and beautiful coffee table as well.